After a couple of weeks I’m back with another Asian classic, this time visiting the kitchens of Thailand (at least in my mind). 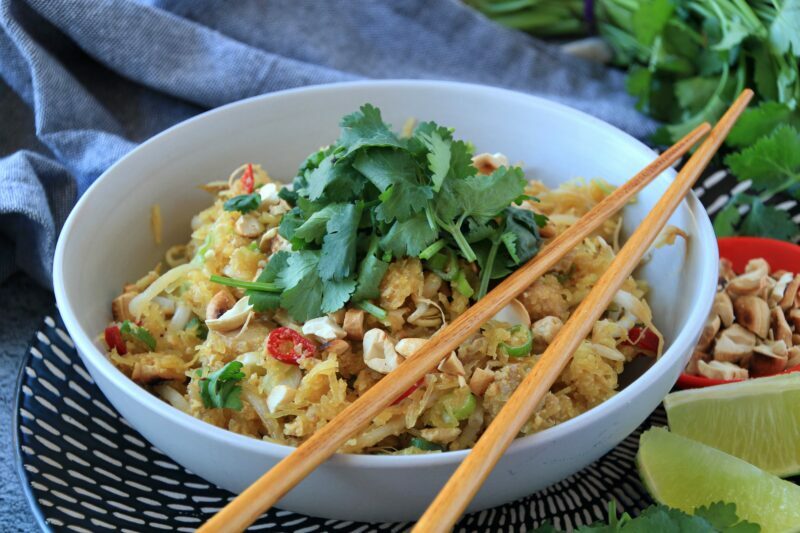 Today I’ve decided to share my version of Pad Thai, because it’s one of the most popular Thai dishes, yet not many people make it at home. But it’s much easier than you think. And of course I tuned the recipe up a bit, so it’s as nutritious as possible. That’s why I’m using spaghetti squash instead of noodles. 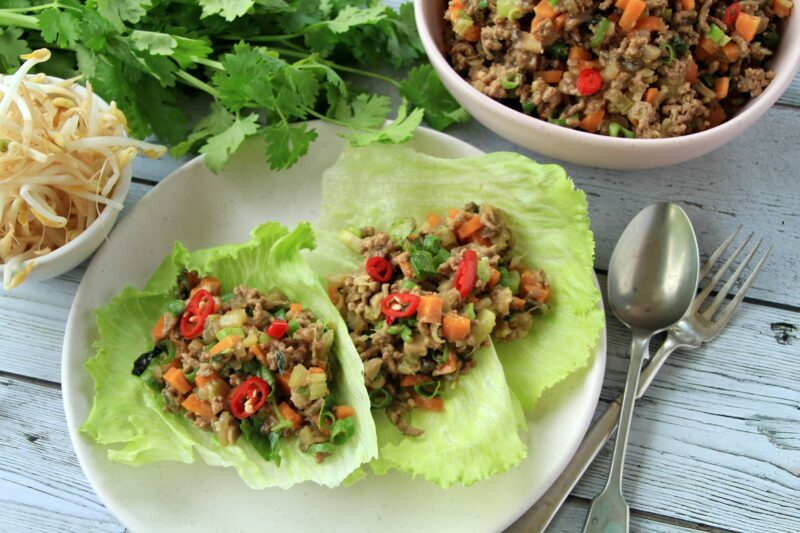 Because it’s delicious, healthy and super easy to cook with. If you can get your mitts on this special variety of squash, you should definitely give my Spaghetti Squash Pad Thai (Paleo, Whole30, Low Carb) a try. 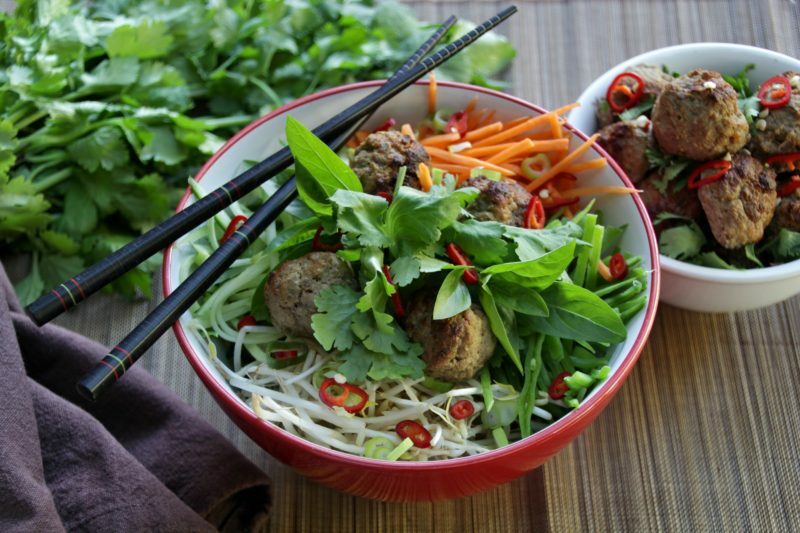 It’s packed with fresh amazing flavours and nutrients. I just love Asian cuisine. But. It’s a known fact that most of the restaurants are using lots of sugar and sauces with crazy amounts of ingredients to add more flavour to the dishes. That’s why I often try to recreate a healthier option at home, using whole foods and ingredients that I can actually pronounciate. Of course some dishes are never going to taste the same when made at home (yes, I’m talking about you Ramen), but I think I came pretty close with this Beef San Choy Bow (Paleo, Whole30, Low Carb). It’s definitely getting colder here in Aus and the lower temperatures are tempting me to eat all the comforting food. Anything warming, filling and full of flavour. And I think it’s ok to listen to my body and give it what it needs. Well yeah, if it craves fries I would think twice 🙂 But when it’s about hearty meals combining a good protein, bit of starchy vegetables and warming spices? Give it to me now. 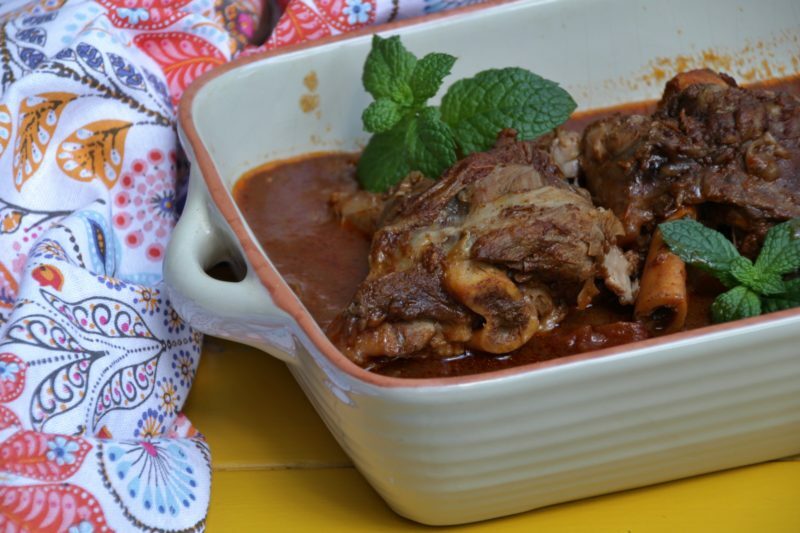 Because what is more satisfying in this weather than a generous portion of Moroccan Lamb Shanks (Paleo, Whole30, Low Carb)? Winner winner, chicken dinner. Ok, I just couldn’t help myself. 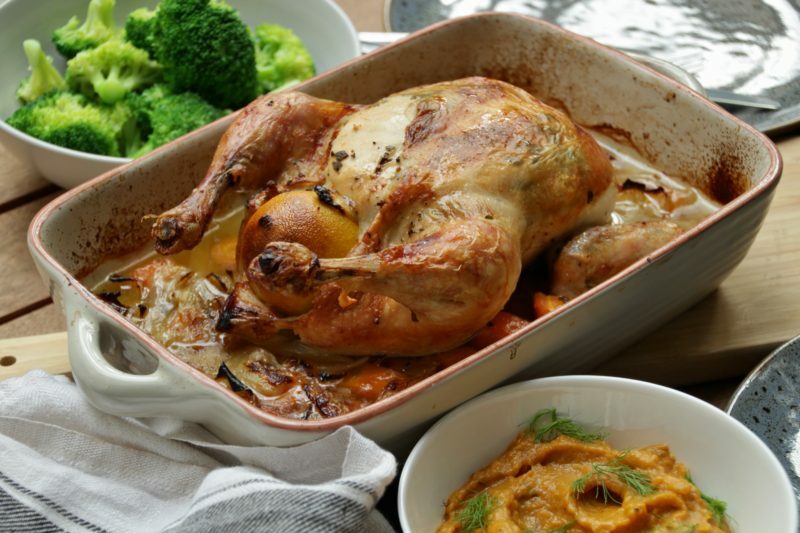 But I think that this Sage And Lemon Roast Chicken (Paleo, Whole30, Low Carb) honestly is the winner here. Because if you are looking for an easy but scrumptious meal which would feed a few people and not break your bank account this is it. Roast chicken can be quite boring, I know. But it can be also the highlight of the night. You just need the good spices and technique. Then add some fancy (ish) side like the Fennel And Butternut Squash Puree and you have a winning dinner. 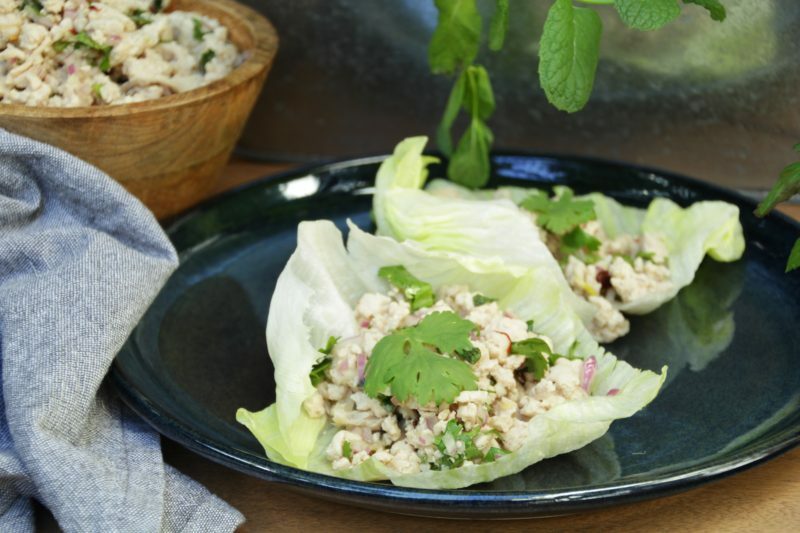 Have you tried Chicken Larb, the traditional Thai chicken salad yet? If not, you definitely should. Because it’s an embodiment of freshness in a dish. It will awaken your senses with it’s tangy, yet savoury taste, leaving your lips pleasantly tingly from the chilli and your belly nicely full. Close your eyes and transfer yourself to the busy street stalls of Thailand. 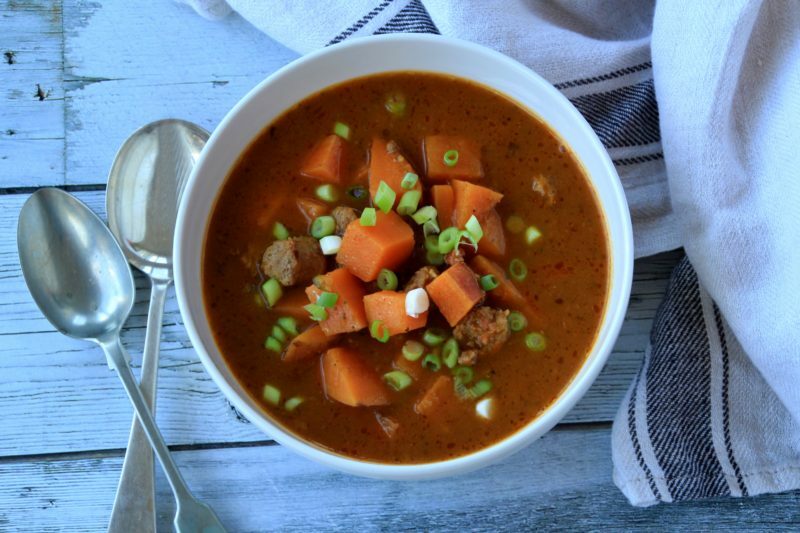 If you are following the food scene a little, you probably just couldn’t not notice that food in a bowl is a thing lately. It’s everywhere. All over the social media. 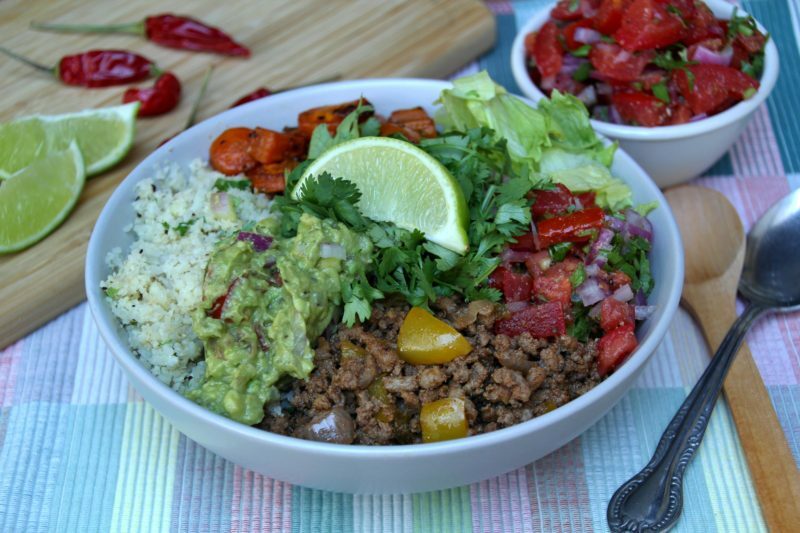 Buddha bowls, breakfast bowls, vegan bowls… You can put pretty much anything in a bowl and give it a fancy name as long as it looks pretty. And that’s what kinda sets me off. It started as beautiful and inspiring nourishing meals. What’s left now in most of the cases is the beautiful. Good looking – for the picture. Nourishing? Not so much. It’s been really hot here in Australia the last few weeks, which means that even somebody like me is eating lots of salads lately. To make a point here. I used to hate salads. Because all I could imagine under that expression was raw vegetable with boring vinegar dressing. I always liked vegetables, don’t get me wrong, I just hated this combination. But then I found out that salad doesn’t necessarily have to be just raw carrot, cucumber and tomato. That you can make a more interesting dressing than vinegar. And it won’t make you to gain 10 kilos by eating one tablespoon… So I started playing with the ingredients a little and found my favourite ways how to make a salad an enjoyable dish which doesn’t need company of garlic bread to be good. 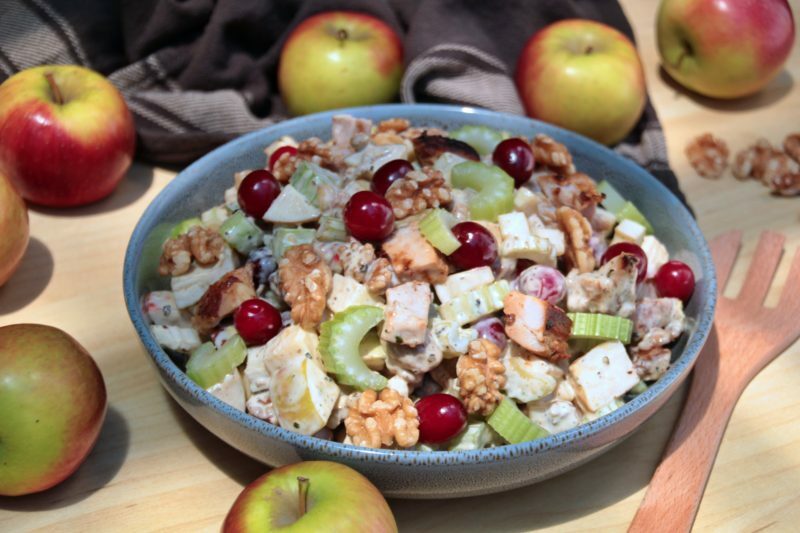 Like this Chicken Salad With Apples And Cranberries (Paleo, Whole30). See few of my tips bellow. I’ve decided to do another round of Whole30 a couple of days ago. No, not because of the new year – new me. I don’t really believe in this stuff. Even though I do have few plans and resolutions including food for this year, I am pretty happy with the eating habits I adopted during the first round of my Whole30 and after and don’t need any big changes in my diet. But I think that January still is a great month for Whole30 after indulging a little more and moving a little less over the holidays. And I’m super excited about it because my husband decided to do this round with me, seeing the great impact it had on me last year. So wish us good luck and hopefully we will finish these 30 days together. So I’ve just created the best meatloaf ever. Da Best! At least the best one I’ve ever had. Well, I had a feeling that combining cheddar, bacon and jalapeno can’t go wrong. But it ended up even better than I could ever imagine. I could just keep eating this thing. It’s so juicy with so many flavours, it almost feels like I’m cheating on the healthy lifestyle with a huge badass cheeseburger. Well, I do every now and then but at home I try to eat as healthy as possible. Because I still believe that the balance is pretty important too. Anyway, if you are looking for an easy recipe for the busy week days, this is it. 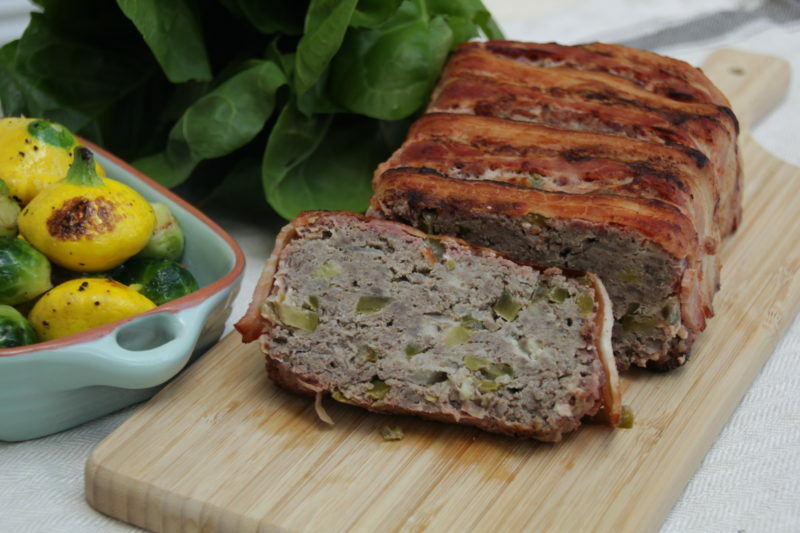 You can make one big meatloaf and enjoy it for several days, just switching the sides. At least that’s what works for me.